Aspiring farmers looking to take their learning to the next level have opportunities to apprentice under established grain farms in Alberta and across the border in Montana. On these mentor farms, apprentices will learn the ins and outs of organic grain farming and explore the potential of managing a regenerative, resilient, and profitable farm business. Duban Farms is a third generation, irrigated grain and oilseed farm located 15 minutes northwest of Lethbridge, Alberta. 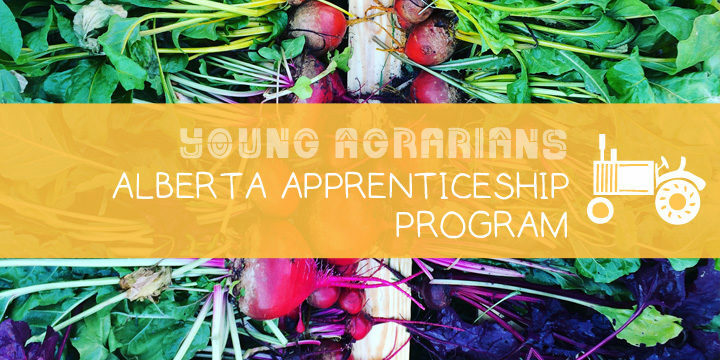 The goal of this apprenticeship is to provide experience and skills in managing cash crops and cover crops, from planting right through to harvest of food-grade hemp, oats, flax, wheat, beans, peas and mustard. Duban Farms is working to build system resilience by using biological principles such as cover cropping, minimal tillage, maintaining soil armor and buffer strips, and implementing polyculture crop rotations. 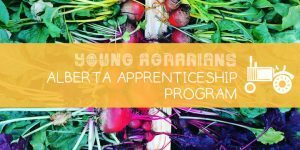 This is the second year Jason Duban of Duban Farms has participated in the Young Agrarians Alberta Apprenticeship program, and is welcoming participants with a serious interest, curiosity and commitment to grain farming to apply. Doug Crabtree and Anna Jones-Crabtree of Vilicus Farms in Montana offer two apprenticeships – one through Quivira Coalition’s New Agrarian Program, and the other in consultation with the State of Montana Department of Labor and Industry and Montana State University – Northern. Both opportunities are designed for an intensive immersion in organic, heirloom, and specialty grain, pulse, oilseed and broadleaf crop production. The latter is geared toward structured occupational training with the goal of culminating in a career as a highly skilled farm team member. In their words, inviting young professionals to learn on their farm is “one way we are paying forward the support and cheering we had to start our own farm” with the added vision of being a model organic farm that pushes the boundaries of conservation and sustainability.